Cloud Computing is a general term for the delivery of hosted services over the internet. Cloud involves deploying groups of remote servers and software networks that allow centralized data storage and online access to computer services or shared resources. Cloud enables companies of all sizes the ability to consume compute as a utility, much like electricity or traditional telephone service. 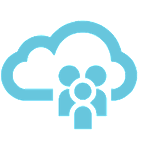 Private cloud: Operated solely for an origination within an isolated business data center environment providing services to internal users. This model offers cloud’s versatility, while preserving management, control and security. 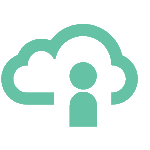 Public cloud: Operated by a third party/cloud service provider over the Internet, made available to many companies or the general public. This model is typically sold on-demand by the minute or hour. Companies pay for the computing resources they use such as CPU cycles, storage, or network bandwidth. This cloud computing is highly elastic, adding or subtracting resources on-demand. 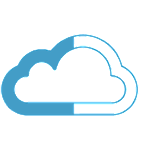 Hybrid cloud: This is the combination of public cloud services and private cloud services with seamless orchestration and automation between the two. It offers the complete flexibility for the best of both worlds. Companies can run mission critical workloads or sensitive applications on the private cloud while using the public cloud for burstable workloads that must scale on-demand. Hybrid cloud allows companies to create a unified, automated, saleable environment.